10/5 EDIT: Update...these have "Officially" launched. Hey all- what's going on? Hope things are well with everyone. Just curious if Jay L... or Chad has info on a release date for the new RP-500SA. Looking to add to my (4) RP-140SA's. The new 5.25" RP-500SA look to be a good addition to the line-up. Yes, I agree, i was looking at the 140s to add and then stumbled across these on the site, almost seems like they weren't even announced. Seems these are the new top of the line with a larger woofer than the 140s and a switchable crossover? 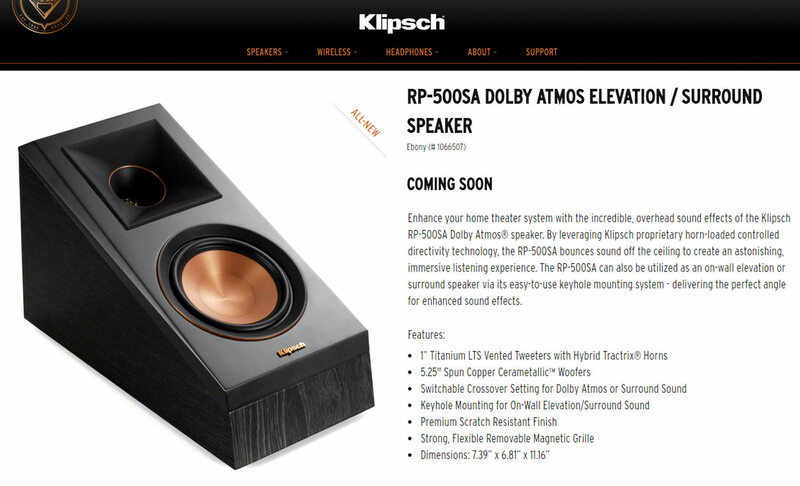 Seems like a better competitor to the SVS Prime Elevations speakers and these can be set to be used either way (heights or reflecting Atmos). That's awesome schwock5... RF7's in an apartment !! On movie night, your neighbors either love you or hate you. (insert tagline here) Good Stuff. Jay L was really helpful with the setup, back when the RP-140's originally came out. (Denon Reps were even a bit behind the curve at the time). I'll grab a pair of 500SA's when they come out & put them up front. After 3+ years; I'll have a good baseline established with countless source material. Easy to evaluate & compare them with the 140's. At the time Jay L mentioned he was working on some cool stuff, took a few years for 5" RP500's. Maybe in a few years we'll get 8" upward firing options to match my RC-7 !! I have loudspeakers from the subject and all the time I'm tormented by the question whether I have them properly configured, whether the signal reflected from the ceiling goes into the listening position. There is no software for these purposes? 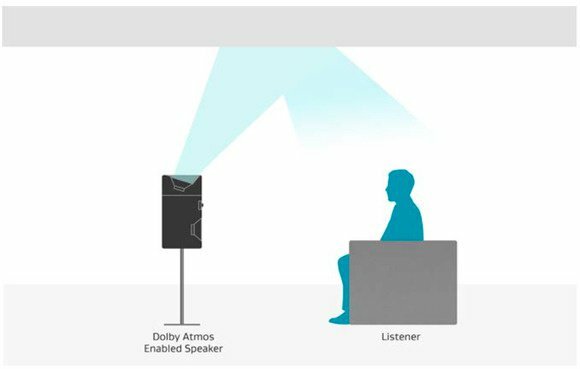 Use the Dolby Atmos demo disc and verify by ear. When the reflection is correct you can hear the sounds clearly from above. It is also possible to use the noise sources build in many ATMOS receivers. The problem is that I can not tell if I locate sounds well. I would definitely prefer to do it in a way of calculating. Is there a known angle of reflection from the ceiling of the sound? I would like to conduct such an examination at my place. People have suggested that it is 90 degrees, but I can not find such information. My overhead speakers are 5.08 ft to the ceiling, in a straight line the listening position is 9.8 ft away and I want to be sure that the reflection is correct. Should I not change the angle by positioning the RP500SA loudspeaker alone, substituting the distance under the front or rear legs? As you can see in the attached drawing there is a minimum and maximum distance where you can hear the Atmos reflected sound. My speakers have almost the same distance to the ceiling as yours (5.3 ft - 160cm) and I hear the optimum effect at a distance of 6ft from the speakers. 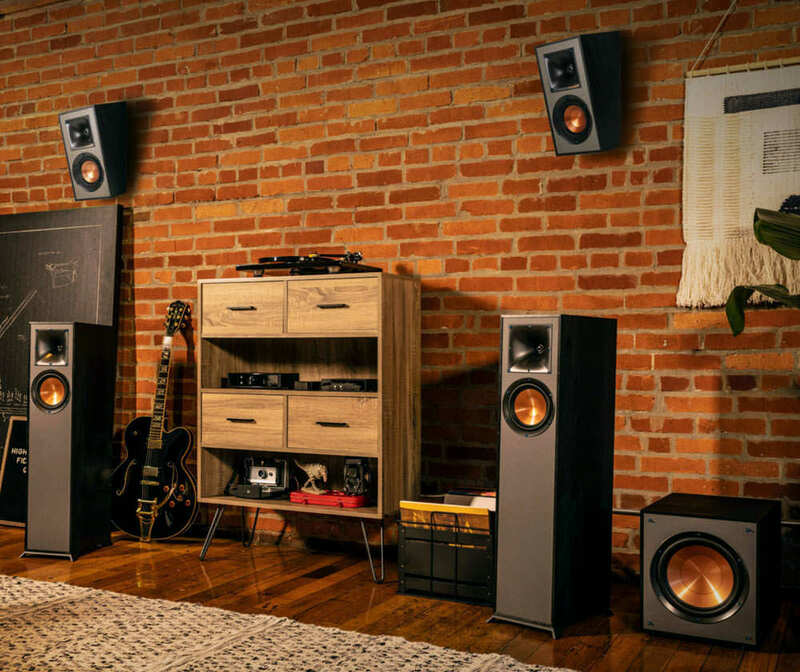 Tilting the speakers forward does NOT really help projecting the sound further because the amount of direct sound coming from the elevation speakers increases as well. I did play with the 'distance to ceiling' setting in my amplifier and increasing the distance does give the impression that the reflected sound comes forward i.e. better overhead sound impression when sitting at a distance of 10 ft from the speakers. Thank you very much for this extensive explanation, based on your experience. 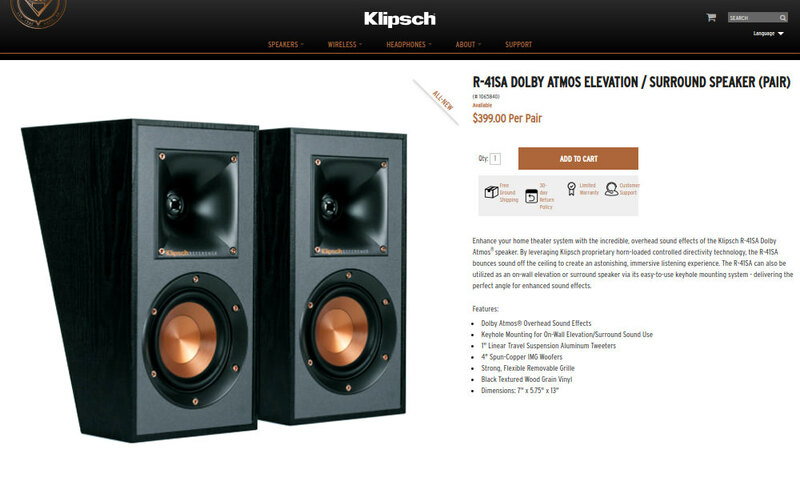 So you are sitting from ATMOS speakers (184cm) 6ft. I was going to tilt the loudspeaker backwards so that the reverb sound would reach, so I thought it would be better. However, to follow your indication, I can achieve my effect by setting a greater distance to the ceiling, because I am sitting from loudspeakers (180cm) 10ft. Question on what value was the distance to the ceiling set? I understand that the speakers have been in the same place all the time? Has Audyssey calibration been done after each change? There is no harm in experimenting with the tilt - but I did not have much succes with it. @MetropolisLakeOutfitters Cory, have you had a chance to compare these against the rp-140sa sound wise? I'm curious if they make a big difference. I haven't compared them directly but generally speaking the new finishes are way nicer, plus this new one has a switch on the crossover so if you want to hang it on the wall instead of opting for upfiring, the response is optimized. No way it's not better with both these aspects in mind. So I have a 5.2.2 setup and want to complete my setup to 5.2.4. Now I have two 140SA’s and I’m looking for another pair of these. But now I’ve stumbled on the new RP-500SA. What advice can you all give me? Another RP-140SA pair or the new RP-500SA’s? Is there a sound difference? so I got the RP-500SA and installed on the walls( as elevation ) as rear for my Dolby Atmos setup for 5.1.2 , currently the switch is on Atmos mode. Should this be changed to Surround considering I am not doing the ceiling bounce ( doesnt work for me with RP140) . Still not clear if the switch for surround will make it like what SVS prime elevation does today. Any ideas? I am thinking the 5 1/2 inch woofer on RP-500SA will be better than SVS 4 1/2 , not sure how different the crossover circuit will work when switched to surround mode. Any one has used this and how is your setup? Cool to learn advance orders of the new RP-500SA are starting to hit the street. My plans are to upgrade a number of items - closer to the November, Black Friday time frame. In my case, the RP-500SA's are actually more of an "addition" than upgrade (going from 5.2.4 to... 5.2.6). Prior to adding them to the system, I'll swap out the front pair of RP-140SA's with the new 500SA's. With 3+ years of listening to the 140's... I'll have a strong ability to compare the new 500's. Curious to see (hear) if the larger 5.25" RP-500SA offers a significant or subtle experience compared to the 4" RP-140SA. The cabinet sizes of both models are almost identical, but have to believe the new 500's will provide a fuller range. For those debating between the original 140's & the new 500's. Nothing wrong with the 140's (in my set-up they performed exceptional), but I'd go with the new 500's. Simply because they offer both upward firing (Atmos) configuration... as well as traditional Surround Sound via Switchable Crossover Setting. That makes the 500's versatile & provides multi-use applications for current or future applications. Plus, the 5.25" vs. the 4" should offer an advantage. I might not be able to wait until November (lol). If I get them sooner I'll posts pics & review. I'm ready to pull the trigger on a pair of 140SAs to hang on the wall behind my MLP (where the wall meets the ceiling) to use as top middle speakers in a 5.1.2 setup. My sofa is pretty close to the back wall, so they wouldn't truly be "rear" speakers. 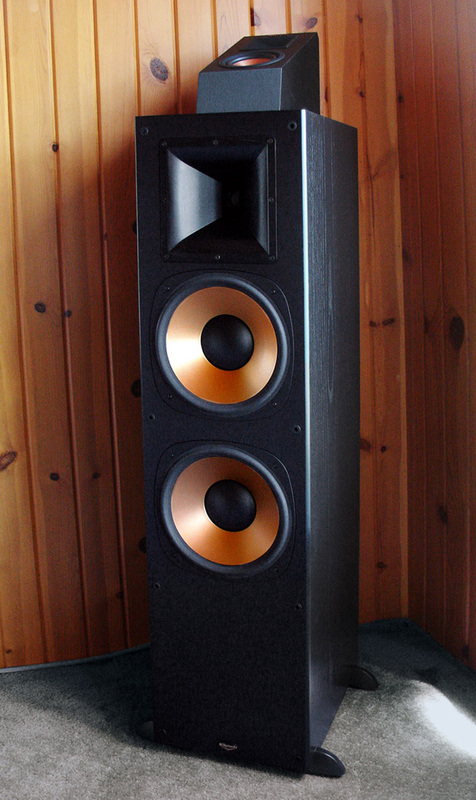 The angle of the speaker should project sound downward slightly in front of the MLP. Anyway, would the 140SAs be OK for this? I don't believe they have the switch that is on the new 500SAs, so does that mean they should only be used as upward-firing speakers that bounce sound off the ceiling? I thought the 140SA specs state they can be used as surround sound speakers... so does the lack of a switch mean anything? Would the new 500SAs be a better choice for my situation? Given the cost difference and the short distance the speakers will be from the MLP (the larger woofer is not crucial in my case), I'd like to go with the 140SAs as long as they are OK for directly firing towards the MLP as opposed to bouncing sound off the ceiling. Hey Esch30 - - Correct, all of the upward firing add-on modules are effective for either Atmos applications or traditional rear surrounds. The earlier RP-140 versions (from 2015) have a fixed crossover, while the new RP-500's benefit from a switchable crossover. However, both will work for your situation. I always try to buy the "best" option my budget allows (best often being subjective & can vary based on your particular space). If your budget allows.. I'd go with the new (5-1/2") 500's. Relatively small investment (compared to the 140's) & saves you from an "upgrade" later. Plus, the switchable crossover makes them truly multi-purpose & provides a future option down the road. I plan to grab 2 pairs of the new 500's soon. If the 500's are not in the cards... you might want to consider the 4" R-41SA (same retail price as the original 4" 140's). The cabinet construction is nicer, the grill is also nicer (more traditional - not the "L" shape grill as on the 140's). Best I can tell, the New slightly longer R-41SA (7" x 5.75" x 13") is the 2018 version of the original R-140SA (7" x 6" x 11.25"). Here is the R-14SA... good luck. Thanks for that information and for providing those pictures. Since the RP-140SA will work for my situation, I'll likely go with those, unless there is some kind of sale on the 500SA in the coming weeks/months. 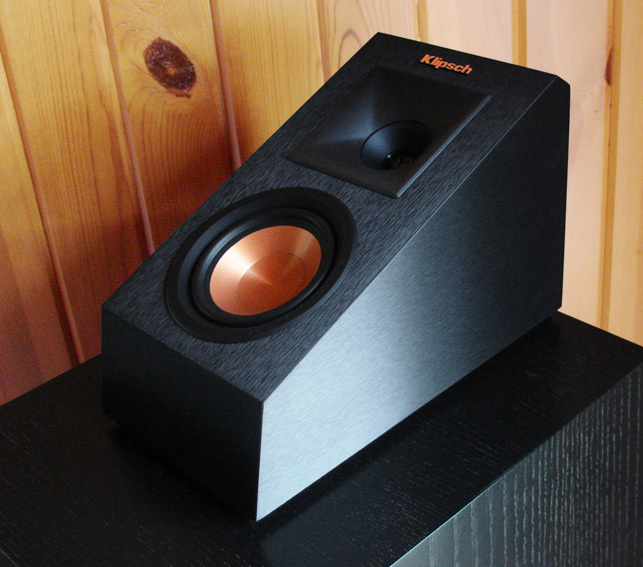 The rest of my speakers will be from the RP line that matches the RP-140SA. I've already got the RP-450C and RP-150M for rear surrounds... just waiting to grab a pair of the RP-250F at a good price. 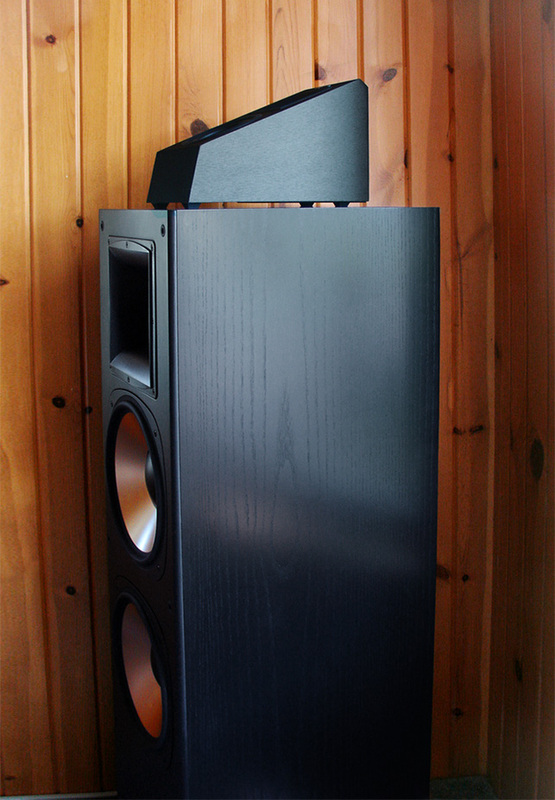 I'd prefer all speakers to match, but the new RP-500SA could be the exception... they look really nice. 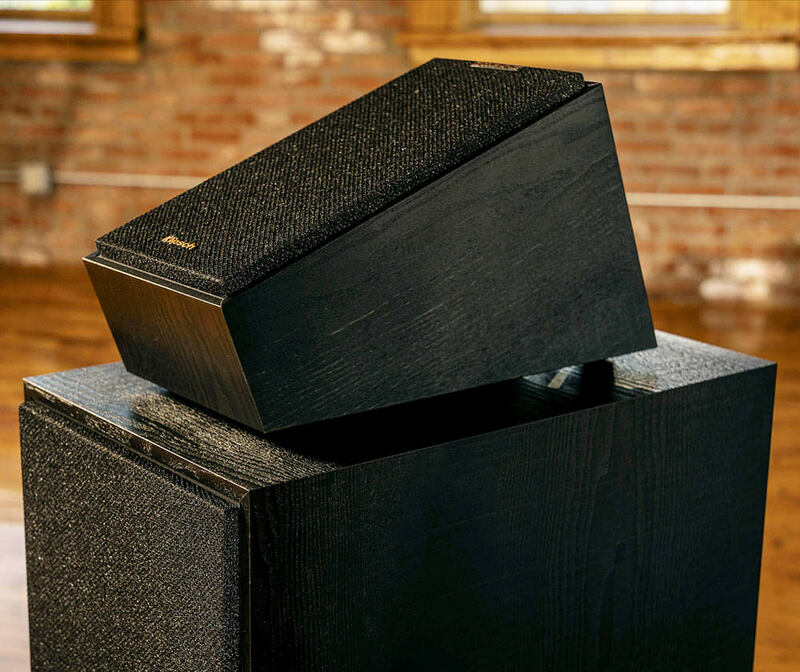 The RP-500SA also would complete the 5.25" woofer in every speaker.